Dufferin Grove Farmers’ Market No ratings yet. This weekly framers’ market offers a wide variety of vegetables, fruit, meat, fish, fowl, cheeses, breads, prepared foods, and specialty foods. 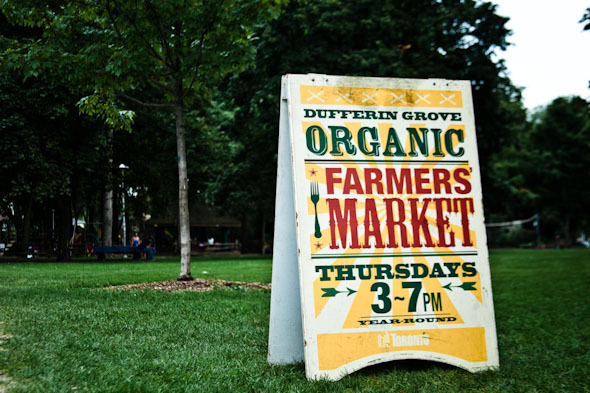 The majority of the food at the market is organic.